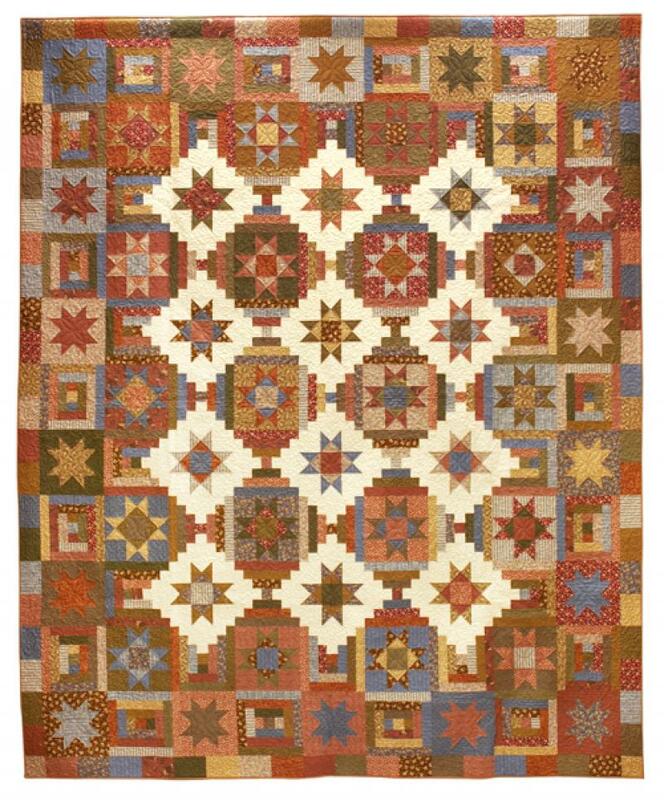 Combine Stars with Courthouse Steps blocks in this fun quilt. Some stars are set against a light background. Others will be set against a Dark background for a fun "hide and seek" effect.You will need 5/8 yard each of 20 assorted Dark prints for this fun quilt, selecting prints from 3-4 color families and varying your values from medium to dark. You'll also need 1-7/8 yards of one Background print. This is a fun quilt to put together!